Solutions for Happy Doggie Level 9 10 11 12 Walkthrough – can you find the item that doggie wants ? solve puzzles with your wits, find items in he unknown corners ! there are 24 funny missions to challenge awaits you. Woof, woof, woof ! give me what i want, then i will be a happy doggie. In Happy Doggie, various items that doggie wants are hidden in the unknown corners of the rooms. Bring your wits into full play to solve puzzles, find the items out and beat 24 challenging missions. This entry was posted in happy doggie and tagged happy doggie mission 9 10 11 12 cheats on May 23, 2014 by 100doorssolution. 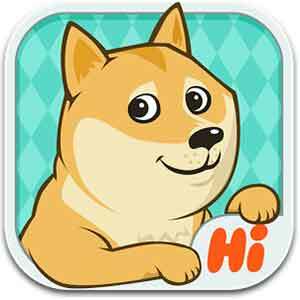 Cheats for Happy Doggie Level 5 6 7 8 Walkthrough – can you find the item that doggie wants ? solve puzzles with your wits, find items in he unknown corners ! there are 24 funny missions to challenge awaits you. This entry was posted in happy doggie and tagged happy doggie mission 5 6 7 8 cheats on May 23, 2014 by 100doorssolution. Guide for Happy Doggie Level 1 2 3 4 Walkthrough – can you find the item that doggie wants ? solve puzzles with your wits, find items in he unknown corners ! there are 24 funny missions to challenge awaits you. This entry was posted in happy doggie and tagged happy doggie mission 1 2 3 4 cheats on May 23, 2014 by 100doorssolution.